Facelift surgery by Dr. Bassichis is a safe, confidence-building, and life-changing experience to achieve a healthy, rejuvenated look. A facelift is a cosmetic surgical procedure that rejuvenates the lower third of the face by reestablishing support for underlying facial tissues and removing excess skin to achieve a smoother, more youthful contour. As a double board-certified facial plastic surgeon and D Magazine’s Facelift Expert, Dr. Bassichis in Dallas is renown for his special expertise in natural facial rejuvenation. Dr. Bassichis believes that Facelift surgery is not about simply applying the same technique to every patient, rather he customizes each surgery for each patient for the most optimized results. “My philosophy of facelift surgery is not facial changing, but a restoration to enhance the ageless beauty of my patients,” Dr. Bassichis says. “I strive to turn back the hands of time and allow their own natural beauty to emerge.” While facelifts of the past yielded tight artificial-looking results, Dr. Bassichis’ modern techniques create harmony and balance through judicious lifting combined with volume restoration offering more natural appearing, long-lasting outcomes. 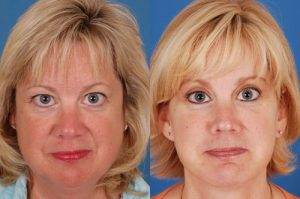 Dr. Bassichis’ facelift employs advanced techniques that lift and reposition the facial tissues and remove excess skin. All incisions are skillfully hidden in folds or creases to provide camouflage and avoid hair loss or abnormal hairlines. After recovery, you can expect a more youthful looking YOU, with dramatic improvement in the lower portion of the face and rejuvenated facial contours. A Facelift can make aging gracefully and beautifully, a reality. As a Facial Plastic Surgeon in Dallas offering specialized expertise in facelift surgery, Dr. Bassichis provides options for customization in several aspects of the surgical process to achieve truly individualized outcomes. From extent of surgery to additional procedures to anesthesia options, we can adapt the procedures to meet your personal needs for a customized facelift experience. Surgical options can range from minimally invasive MiniLift procedures to more extensive deeper lift procedures. To fully address aesthetic concerns, we can combine additional procedures including state-of-the-art Fractionated C02 Laser resurfacing, fillers, hand rejuvenation, fat transfer, eyelid surgery, browlift, lip augmentation, nasal surgery and more with your Facelift. Regarding anesthesia options, for your safety and comfort we use only physician anesthesiologists to accomplish local anesthesia with sedation in our credentialed in-office surgery suite to laryngeal mask anesthesia in our fully accredited surgery center. Our goal is to exceed your facelift surgery goals and expectations with excellent patient care, customer service and beautiful results. At ADVANCED, we have found that the most successful Facelift surgery features a healthy relationship between patient and surgeon where communication and mutually realistic expectations allow the best possible results. We look forward to getting to know you so that we can make your facelift a wonderful, uplifting experience. Maintaining and optimizing facelift results can be achieved more effectively than ever with the artful combination of cosmetic techniques. We offer our complete Facial Health Maintenance Program TM with custom skin care regimens and aesthetic treatments to extend and optimize surgical outcomes. With this comprehensive approach, Dr. Bassichis and his professional Medi.SPA staff care for our facelift patients in Dallas for a lifetime of facial health. When considering your facelift, ask Dr. Bassichis and his aesthetic staff about skin treatments for your chest, décolleté, face, and hands as well. 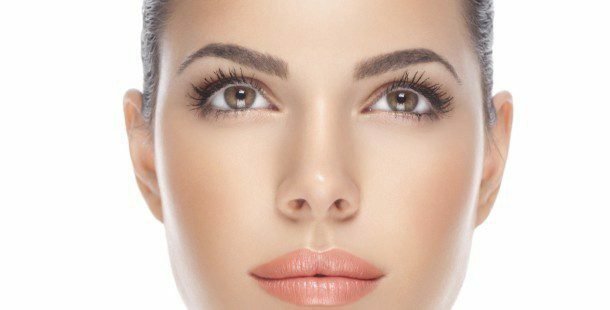 Procedures such as laser resurfacing, fillers, PhotoFacial, microdermabrasion, chemical peels and physician-grade skin care can optimize and customize your surgical results. These procedures will not only help minimize wrinkles and other skin concerns, but your refreshed appearance in these areas will complement your newly rejuvenated facial contours. Is a Facelift for me? A Facelift offers a way for your appearance to reflect your youthful inner vitality. The best candidates for elective facial rejuvenation surgery are those with good facial skin elasticity, in good physical and psychological health, who are non-smokers. We look forward to speaking to you more about Facelift surgery at your complimentary cosmetic consultation. Please click the photo below to be immediately connected to our FACELIFT PHOTO GALLERY. For more information, or to schedule a Facelift consultation, call our Dallas office at 972.774.1777.